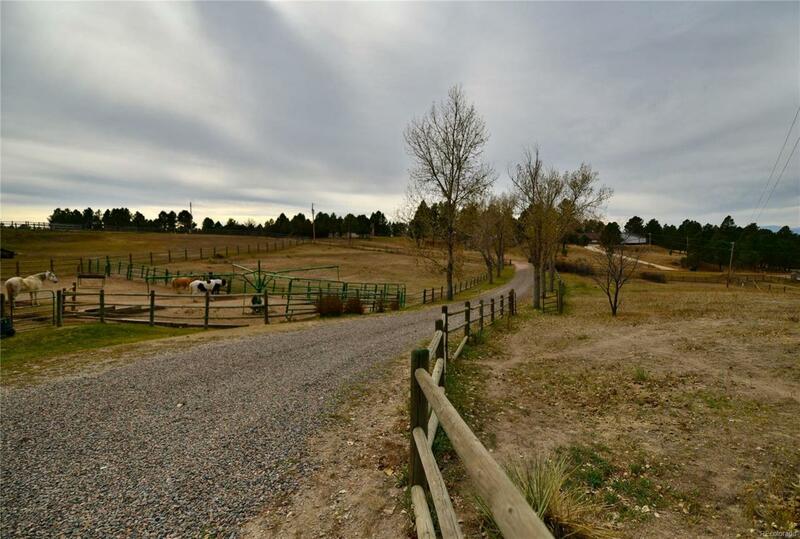 Mountain views, equestrian estate. Community horse arena 8 mile riding trails. Call listing agent 2 see. 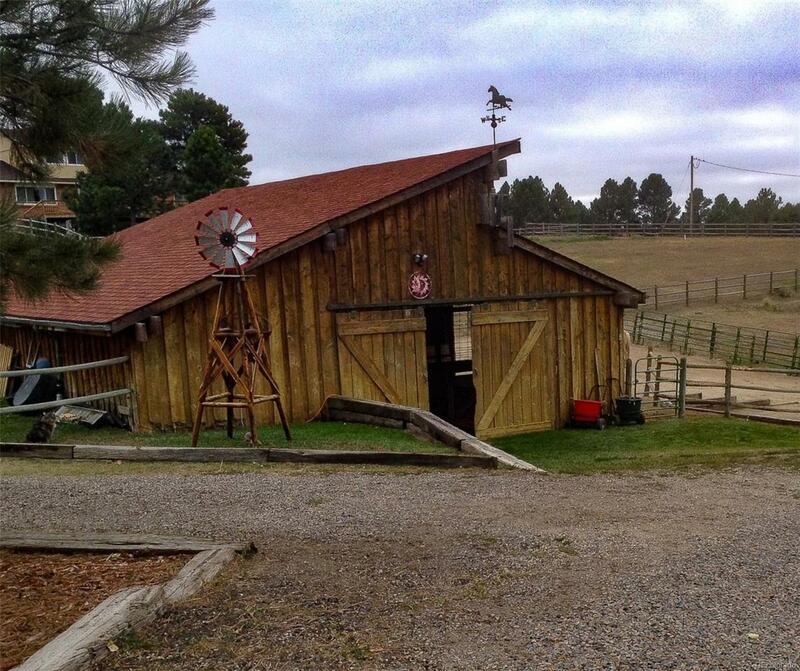 5 acres, up to 9.5 horses allowed. Barn with water & electric! All horse fencing is staying, and the horse exerciser. Entire perimeter fencing is western dowel, electronic fence in place to keep your dog safe. Imagine fresh eggs in the morning! 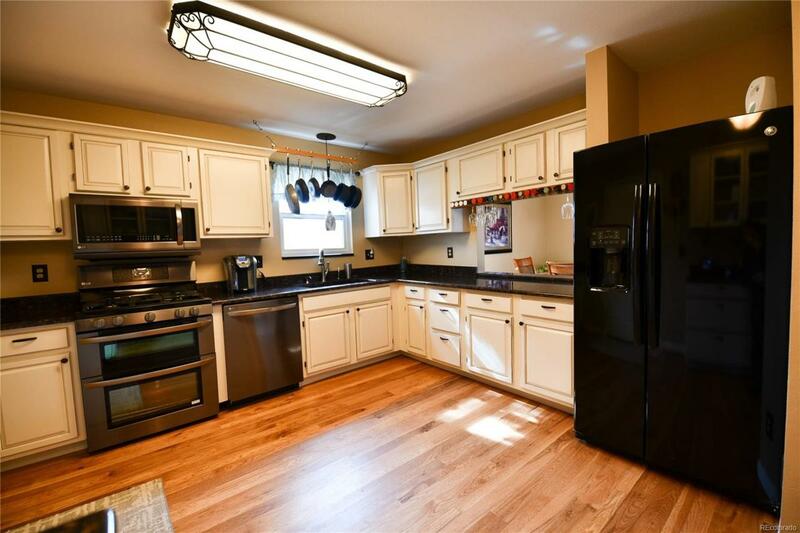 Updated interior with new granite, new hickory hardwood floors, new carpet & paint and stainless steel LG stove top double oven. Newer roof. WELL WATER has been tested. 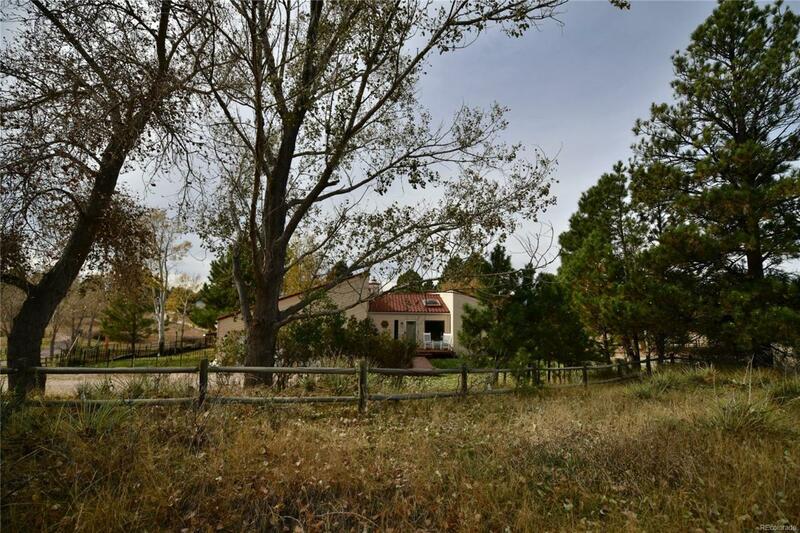 2 bedrooms on the main floor including the master bedroom with vaulted ceilings, large closet and sliding glass door to the Juliet balcony overlooking the back yard. Lower level walk out with 2 bedrooms, natural gas fireplace in the family room. Exposed rustic wood ceiling and beams, and plenty of healthy natural light provided by this mountain contemporary floor plan. Family room has a sink & cabinet. Barn has 4 doors to paddocks plenty of storage for hay, plus tack room.